When you hear baby’s breath flowers, you probably don’t imagine the most beautiful plants. However, don’t let their curious name deceive you. 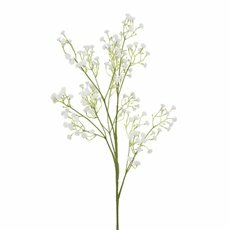 Also known as gypsophila, these tiny flowers are in fact rather pretty and charming blooms. Native to Eurasia, Africa, Australia and the Pacific Islands, you can bring these little babies to your home when you shop artificial baby’s breath at Koch & Co. 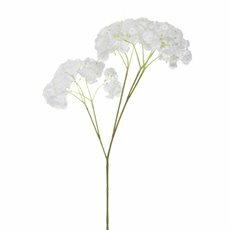 Forming a collective of beautiful dainty petals, artificial gypsophila are the perfect addition to any artificial floral arrangement. 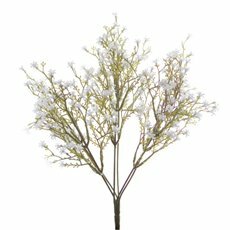 Available in pretty soft shades of white and pink, baby’s breath are ideal for wedding, home decorations and more! To create a unique and beautiful flower arrangement for your home, mix in tulips and artificial greenery with our baby’s breath! Add a glass vase in for the perfect finishing touch. Planning a wedding? Incorporate artificial baby breath gypsophila into your bridal bouquet for a whimsical and romantic look. You can also use silk baby’s breath elsewhere in your wedding ceremony or reception! Create pretty floral features that combine gypsophila flowers with equally pretty fairy lights for an eye-catching decorative display that sets the mood for your special day. We know you will love our selection of baby breath artificial flowers because of their real touch quality and affordability. Discover just why artificial flower bouquets and silk flowers are everyone’s first choice for home and event decor today. Shop Koch & Co’s full collection of artificial flowers and greenery, including artificial native flowers, online now. Also be sure to check out our blog for even more inspiring ideas on how you can decorate with real touch flowers!